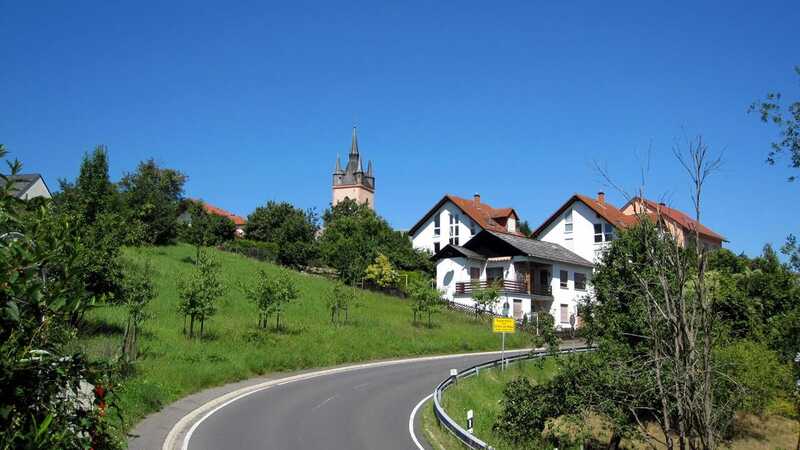 Rauenthal is part of the municipality of Eltville and lays higher up. It was first mentioned in 1274. The first settlers came to this "rauen Tale" (desolated valley) and got from the meager grounds the basic products to survive. This place suffered epidemics, battles and burnings in different ocassions. Nevertheless it has maintained his fame as a traditional wine-growing community. The high watch tower of the catholic church St. Antonius can be seen from far away. The angled and curved alleys invite for a nice walk through this cozy town and enjoy a nice athmosphere in many of its friendly guesthouses and wineries. A lovely sight offers the Bubenhaeuserhoehe (an elevation) over the river valley from Mainz to Ruedesheim.